BDSwiss is an established Forex broker owned by BDSwiss Holding Plc. For complaints or withdrawal issues, read this. Our review of BDSwiss shows, that they are a licensed broker offering the MT4 & MT5 software, along with their own custom web-based trading platform. They have over 250 underlying assets for CFD trading including Shares, Forex, Metals, Commodities, and Indices. The web based trader is nice and easy to navigate. Our only complaint about their trading software, is that the Buy button is on the left, instead of the right. 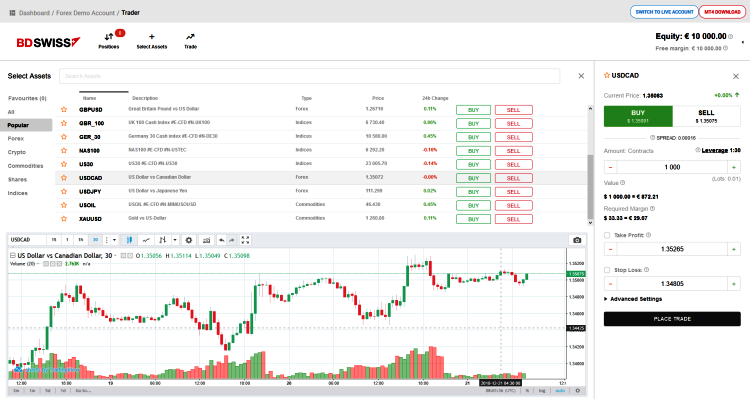 Investors can choose to use their easy web based trading platform, with a Free $10,000 demo trading account. Three account types are offered; the Basic, RAW Spread and Black Account. The difference between the trading account types, are the average spreads. The minimum deposit for a Basic trading account is €100, which is one of the lowest for a European licensed broker, see here. They are a popular CFD broker in the United Kingdom, Germany and South Africa. As a global international broker, their site is localized in the following languages; Chinese, Turkish, Indonesian, Malay, Czech, Romanian, Korean, French, Norwegian, Polish, and Danish. The way that the Scam Broker Investigator determines if a broker is a legitimate company or a scam is very simple. We check to see if they are licensed and regulated by a respectable financial regulator, like the CySEC in Europe, or the FCA in United Kingdom. BDSwiss is licensed and regulated in the European Union by CySEC under the name BDSwiss Holding Plc. Their license number from the Cyprus Securities and Exchange Commission is 199/13. Outside of Europe, they are operated by BDS Markets, which is authorized and regulated by the Mauritius Financial Services Commission, with license number C116016172. BDS Markets is located at: 6th Floor, Nexteracom Building, Ebene, Mauritius. 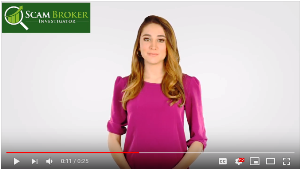 When choosing a Forex broker it is important to read the reviews of licensed brokers, and check that the broker you would like to open an account with is regulated by a government regulatory agency. 24option is a popular Forex CFD broker, that is licensed in South Africa and in the European Union, read more. Their online trading platform is very popular with new investors, see here. EasyMarkets is licensed in both Australia and Cyprus, offering an easy to use trading platform. Get a Free Demo Account, register here. What was your experience investing with the brokers at BDSwiss? Please share your thoughts in the comments section below.